It is with great sadness and heavy hearts we announce the passing of Austin M. Putzier on December 3, 2018. He was born in Burlington, VT on July 1, 2002 to Tony and Joanne (Poirier) Putzier. Austin attended Jericho schools and was a junior this year at Mount Mansfield Union High School. 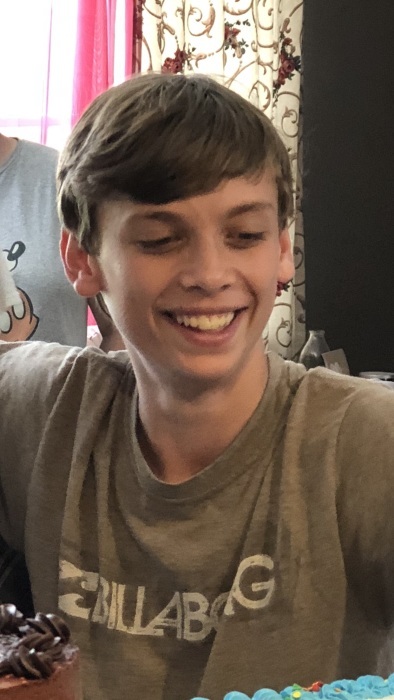 Austin was a calm, gentle, sweet, caring person who loved animals, skiing at Smuggler’s Notch, video games, Jericho Youth baseball and soccer. A loyal friend, Austin will be greatly missed and fondly remembered by all who knew and loved him. Austin is survived by his loving parents Tony and Joanne Putzier, his twin sister Brooke Putzier, brother Corey Bessette and his fiancé Shannon Leggett and daughter Makenna, grandmother Mary Jane Putzier, grandfather John Putzier and his wife Cathy, grandparents Jesse and Roger Giroux, aunt Barbara Poirier, uncles Eddie Racine, Chris Putzier and his wife Pam, Ed Putzier and his wife Heather Gonyea, Tim Putzier and his wife Darcy, Brad Faucher and his wife Kim, cousins Nicole Poirier, Thomas Faucher, Michael Putzier, Alex Putzier, Gavin Putzier, Ryan Putzier and Jakobe Putzier who was his special brother. Visiting hours will be held Monday, December 10th between 3 pm – 6 pm at the Essex Alliance Church, 37 Old Stage Road, Essex Junction, VT with a service at the same location on Tuesday, December 11th at 11 am.